Have you always wanted to learn how to make kombucha? Have you ordered a kit online and had little success? Did your old SCOBY die? Do you currently brew at home but want to fine-tune your ferments? Whether your brand new to kombucha or have been guzzling it for years, no special skills are required to brew from home! 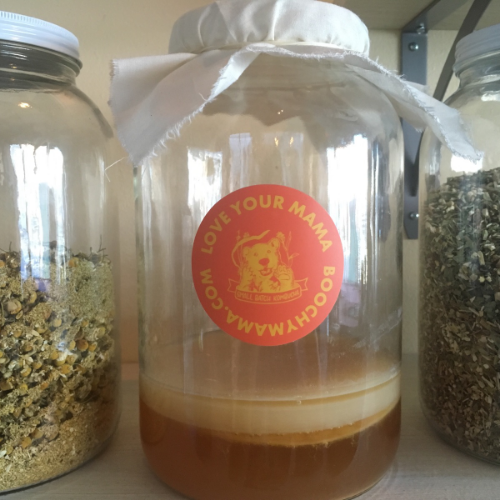 Boochy Mama's has taught 200+ people the life-long skill of brewing kombucha at home. This fermented drink has been brewed for centuries by families across the world. Making kombucha at home is easier than you think...no experience is needed! Workshop includes SCOBY and starter liquid, 1 gallon jar, reusable muslin tea pouch, organic tea, kombucha samples and follow-up support.